Welcome to the official City of Walnut Ridge, Arkansas website. If you are a lifelong resident, looking for business opportunities, or just visiting our town we hope you will find the information you need within these pages. Walnut Ridge has a population of 5338 residents and is located in the northeast quarter of Arkansas. Approximately half of an hour drive West of Jonesboro, an hour and a half drive north west of Memphis, Tennessee and a two hour drive north of the state capitol in Little Rock. Walnut Ridge is not only the largest city in Lawrence County but also the county seat. Walnut Ridge has three major highways running through its city limits; Highway 67, Highway 63 and Highway 412. Highway 67 was named Rock and Roll Highway 67 in 2009. In the 1950’s many famous musicians played along this stretch of highway like Johnny Cash, Elvis Presley, Roy Orbison, Jerry Lee Lewis, Billy Lee Riley and Sonny Burgess. Two major railways run through the city of Walnut Ridge. Union Pacific runs north and south, Burlington Northern runs east and west. These railways intersect one mile south of our downtown area. Union Pacific runs directly through the city. 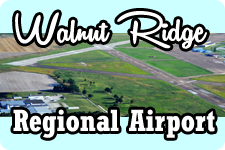 In addition to these thoroughfares, we can also boast of a major airport capable of handling large air craft, the Walnut Ridge Regional Airport. Local citizens can take pride in our town’s strong rural character. Walnut Ridge has always maintained a large agricultural industry . Rice, soybeans, wheat and corn are the major crops grown in this area. Residents can enjoy the rural charm of a farming community with its winding roads and fields farmed for generations. Our city has affordable housing, friendly people, and a great public educational system serving elementary, middle, and high schools. We are fortunate to have a four year university located nearby . Williams Baptist University is next to the airport and the industrial park. 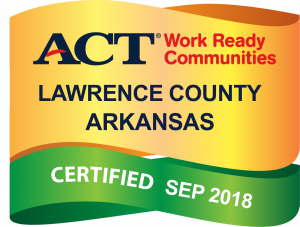 Walnut Ridge also has the luxury of being within close driving distance to Arkansas State University in Jonesboro and Black River Technical College in Pocahontas. You will find a variety of recreational activities located within our city limits. A large park with sporting fields, swimming pools, an archery range, basketball and tennis courts, fishing ponds and a vast walking track. Along with our parks, Walnut Ridge is fortunate to be located in “the” major water fowl flyway in the United States – the Mississippi Delta Flyway. Walnut Ridge’s water fowl hunting is known nationwide. Several water fowl outfitters await sportsmen every fall. There is an abundance of rivers, lakes, creeks and streams for fishing and swimming nearby. As you can see, Walnut Ridge has a lot to offer. Come to visit. See for yourself. We would love to have you call Walnut Ridge…HOME!